What is tessellation, where is it found, how does it work, and how did artist MC Escher translate it into geometric art? When certain shapes meet, their attractive patterns can unite nature, art and mathematics. A tiling which uses one or more similar shapes is called tessellation. Prof Ian Stewart University of Warwick UK – "Tessellation is about regular patterns that divide the plane – that means that effectively they split the plane up into lots of little tiles and those tiles fit together perfectly – they don't overlap and they don't leave any gaps." 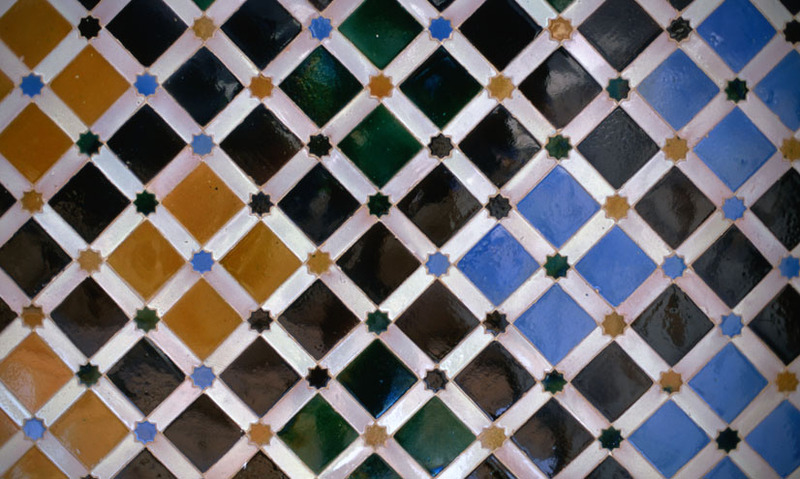 Tessellated designs are found in the world around us, from the work of bees to a wall of tiles. The Dutch artist Escher often used tessellated patterns inspired by ancient artworks. To harness their beauty he utilised the mathematics that underpins their formation. The simplest type of tessellation is regular tessellation, in which only one shape is used throughout the design. 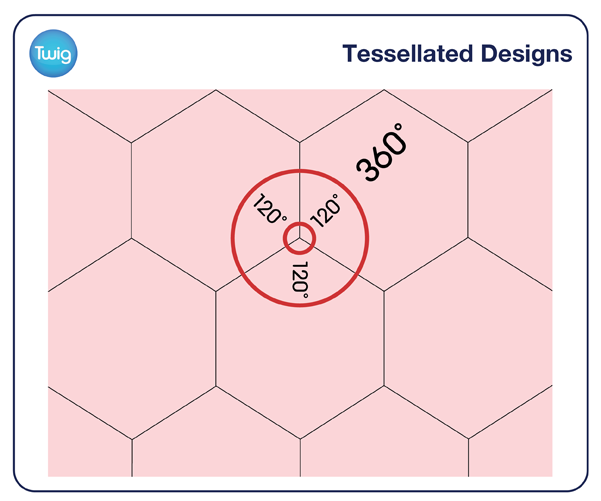 There are two criteria to create regular tessellation. Firstly the shapes used must be regular polygons. Secondly the sum of the angles at which the tiles meet must add up to 360°. Each angle can be determined by dividing 360° by the number of shapes meeting. Only three shapes can create regular tessellation. Equilateral triangles, squares and regular hexagons. These three shapes display the particular properties with the result that they fit each other exactly. Irregular tessellation is possible using many more irregular shapes but in regular patterns. This kind of regularity appealed to Escher, who channelled mathematical concepts into his art. Using more complicated tessellated designs to create intricate recurring motifs. "It may seem that the premise of tiling a plane or a surface with regular repeating units is a very simple idea, but it's absolutely fundamental to mathematics, and the reason is that it's about symmetry. What Escher does with this rather simple, stark, abstract mathematics is to add a human dimension, and a fantastical dimension."